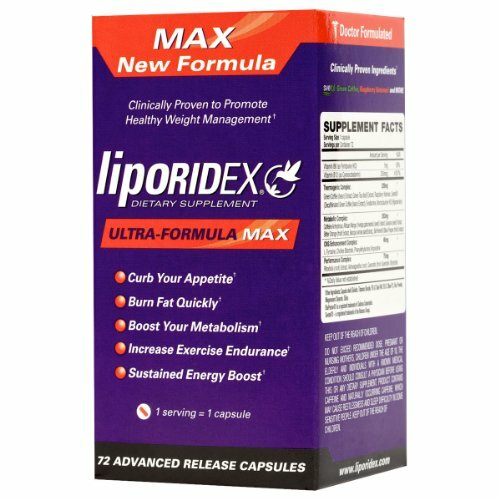 Bodybuilding Supply Store | Fat Burners & Thermogenics | liporidex Liporidex MAX w/ Green Coffee - Ultra Formula Thermogenic Weight Loss Supplement Fat Burner Metabolism Booster & Appetite Suppressant - The easy way to lose weight fast! - 72 diet pills - 1 Box. Created and Formulated by Medical Doctors! The Most Powerful, Clinically Proven Fat Burners and Weight Loss Ingredients in One Convenient Dose. Increase Energy, Focus and Exercise Endurance.